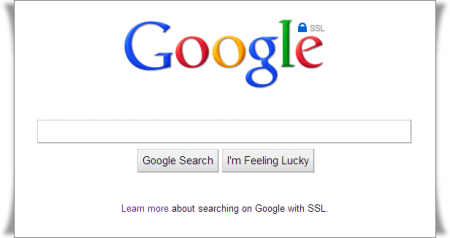 Google Enable SSL-based searches, Will impact Google Analytic ! According to a blog post by Google, the company is taking steps towards making search more secure for its users. Users will be redirected to https:// instead of http:// when going to do a Google search. By forcing SSL on http://google.com, all keyword data will be hidden. The company is dedicated to SSL and securing search and privacy for its signed in users. But This will restricting search terms availability and also when user will sign out, One will redirect back to Unencrypted (http://) page. The company says this won’t change reporting data for webmasters who use analytics tools too see how much traffic Google sends them. How will this change impact Google Analytics users? When a signed in user visits your site from an organic Google search, all web analytics services, including Google Analytics, will continue to recognize the visit as Google “organic” search, but will no longer report the query terms that the user searched on to reach your site. Keep in mind that the change will affect only a minority of your traffic. You will continue to see aggregate query data with no change, including visits from users who aren’t signed in and visits from Google “cpc”. According to Google Analytic Official Blog. We’ve worked hard over the past few years to increase our services’ use of an encryption protocol called SSL, as well as encouraging the industry to adopt stronger security standards. For example, we made SSL the default setting in Gmail in January 2010 and introduced an encrypted search service located at https://encrypted.google.com four months later. Other prominent web companies have also added SSL support in recent months. As search becomes an increasingly customized experience, we recognize the growing importance of protecting the personalized search results we deliver. As a result, we’re enhancing our default search experience for signed-in users. Over the next few weeks, many of you will find yourselves redirected to https://www.google.com (note the extra “s”) when you’re signed in to your Google Account. This change encrypts your search queries and Google’s results page. This is especially important when you’re using an unsecured Internet connection, such as a WiFi hotspot in an Internet cafe. You can also navigate to https://www.google.com directly if you’re signed out or if you don’t have a Google Account.